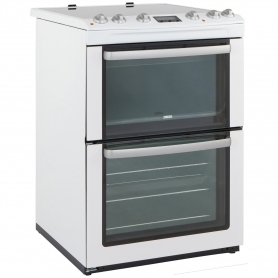 The Zanussi ZCV667MWC electric cooker has a stylish design, two separate cavities and a range of great features. It’s designed to make preparing several dishes at once easy. 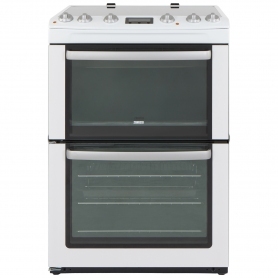 This cooker also comes with an A energy efficiency rating - keep reading to find out more. 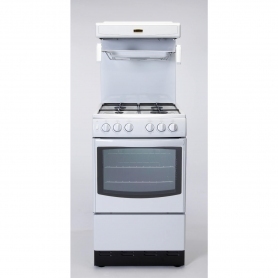 This model features a ceramic hob. This has four easy-to-clean zones, which come in two different sizes, for all your pots and pans. There’s a hot hob indicator too – a very handy safety feature. The programmable timer lets you get on with more important tasks as your food is cooking, while the LED display makes it easy to see how long is left. Ensure your food is served on time, every time. 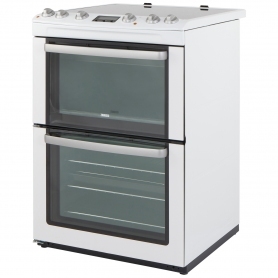 The main oven has a large 74 litre capacity, which is currently the largest on the market. This makes the ZCV667MWC perfect if you‘re planning a large meal or feeding the whole family. There’s a large grill pan in the top oven, which adds versatility to this cooker’s long list of features. Grill your favourite snacks to perfection or simply use the extra space to keep dishes warm until serving. The interior light and see-though glass panels let you keep an eye on your food, without opening the door and letting heat out. 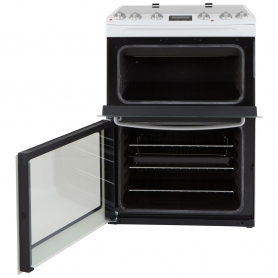 Nobody likes scrubbing away at their oven for hours, so the inside of the ZCV667MWC has special catalytic enamel liners. These make cleaning effortless by absorbing grease. 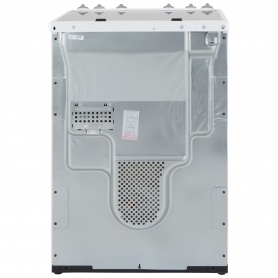 The ZCV667MWC uses a Thermaflow fan to force air over a central ring element, for even cooking temperatures throughout the entire cavity. This clever technology also ensures that no smells, flavours or tastes pass from one dish to another. 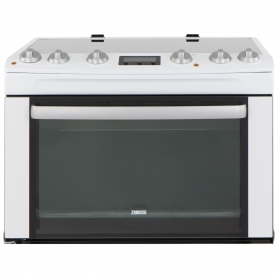 The Zanussi ZCV667MWC has been designed to be the perfect family cooker. To place your order, click Add to Basket today.